Tata Motors has just showcased the eVision electric sedan concept at the 2018 Geneva Motor Show. We now have a list of details about the new car, including information on when it will be put into serial production. Guenter Butschek, the managing director of Tata Motors, has revealed that the car will now be presented in front of the Tata board for approval later this month. 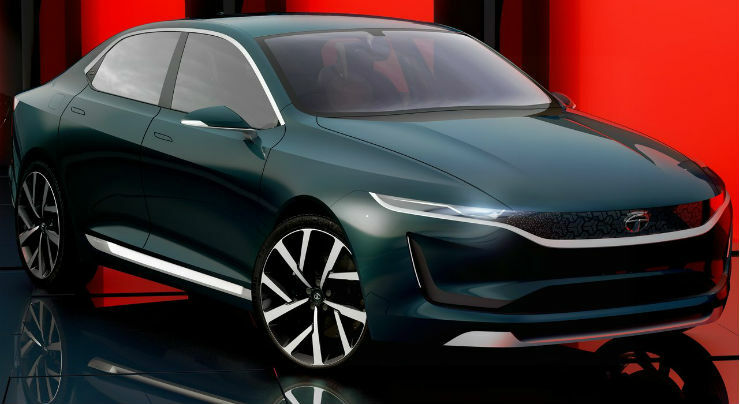 Once green-lighted for production, the eVision electric luxury sedan will be put into production sometime in 2020 or 2022. It is too early to guess the price of the car, but considering it is electric, its likely to be costlier than the Tata Hexa crossover, currently their most expensive vehicle in India. This is because it will be battery powered and also because it will be quite luxurious, with a size that puts it in the Toyota Camry-Skoda Superb league. Other interesting bits of the car include its battery range and performance capability. The car will be able to do a 300 kilometer distance on a full charge of its batteries. It will be capable of a top speed of nearly 200 Kph while the 0-100 Kph acceleration run will take just 7 seconds. This will make the eVision the quickest Tata car ever produced. The E-Vision Sedan Concept is one of the most definitive and aspirational product by an Indian OEM and will be a game changer, reiterating our commitment to offer world-class design, technology and drive the EV revolution to build a sustainable future. The eVision is built on the Omega EV platform, borrowed by Tata Motors from Land Rover. This platform is modular and scalable, which means that a wide range of electric cars can be built on it. The new electric sedan uses the Impact 2.0 design language, also seen on new Tata car concepts such as the H5X SUV and the 45X premium hatchback. The eVision showed high quality, minimalist interiors at the Geneva Motor Show, and prospective buyers of this car will be hoping that these interiors will be offered on the production version as well.